Commercial and Residential Fire and Security Systems in Los Angeles and surrounding areas. Contact Us today. If you are interested in home security systems in Torrance, California, you have definitely reached the right website. Our company, D&S Security, has been exceeding the expectations of discerning clients throughout Los Angeles County for over 30 years and counting. We take what we do very seriously, because our work protects the communities that we serve. This Los Angeles County city is one of the best places to live in Southern California, with a beautiful beach, alluring parks, and a strong cultural underpinning. At the same time, crime can strike anywhere at any time, and burglar alarms and CCTV systems can keep the criminal element at bay. If you are in Hollywood Riviera, Walteria, the PCH/Janet Lane neighborhood, or any other part of town, a Torrance, California home security system resource will always be just a phone call away. Individual homeowners can rely on us for burglar alarms and security camera systems, and we also have a great deal of expertise on the commercial side. Regardless of the size or scope of your business, we can craft a total security solution that ideally suits your needs. Every business should have surveillance cameras intelligently deployed, and in addition to the interior, we can also install an external security camera system to monitor sensitive areas. Access control is another important piece of the business security puzzle. 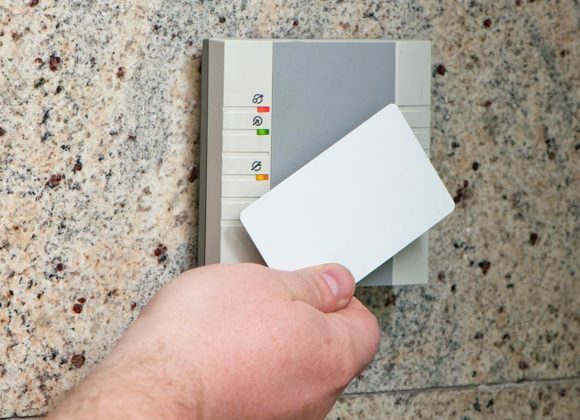 A lot of businesses utilize proximity card readers, and we sell and install these systems. Biometric access control solutions are available for businesses that require a very high level of security and efficiency, and we offer numeric keypads as well. All businesses should be concerned about the potential impact of a fire. We specialize in the installation of commercial fire alarm systems in Torrance, California. Plus, we can be engaged to handle all of the monitoring tasks on a 24/7 basis at our UL monitoring station. You are taking an enormous risk if you are living in a home without a security system, and the same thing is true for business owners and decision-makers. Now is the time for action if you are unprotected. Give us a call at 800-521-1958 and one of our Torrance, California security system specialists will answer all of your questions and arrange the next step if you decide to go forward. Copyright © 2019, D&S Security, Inc. License Number: ACO 7555 | C-10 1018244. All Rights Reserved. Website By American Creative.